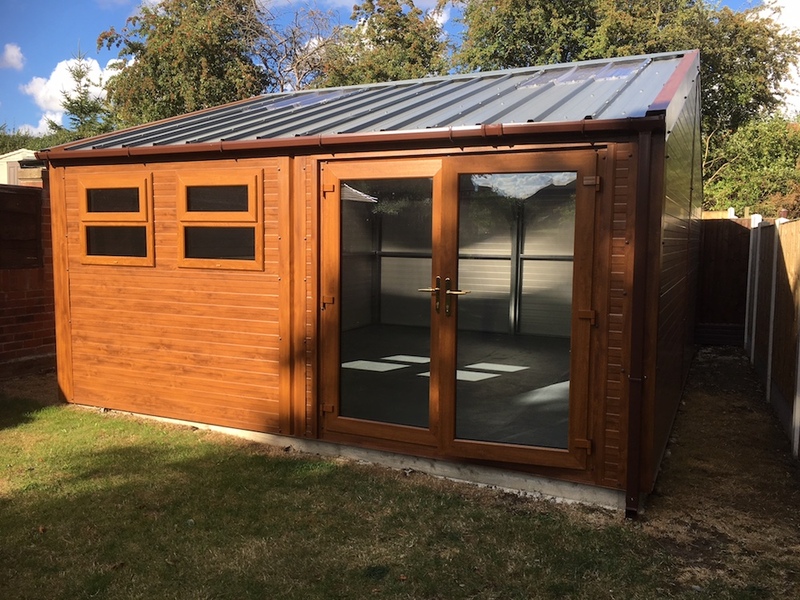 We recently completed a full project management installation for a customer who wanted a garden building to use as a home gym and summer room. We started by laying a bee to the exact specifications required as the building overhangs the base to prevent any ingress of water, dust etc. We helped the customer decide upon a fully insulated building measuring 5mts wide x 6mts deep. 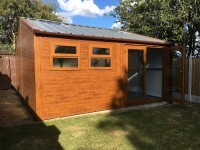 The insulation was 40mm thick Kingspan panelling to the walls and roof to create a very snug building in winter and cool building in summer. 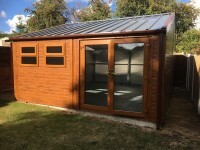 This composite paneling system also carries a 1 hour fire rating. The customer selected PVCu patio doors and 2 off opening windows to allow plenty of natural light to compliment the insulated twin wall polycarbonate roof lights. 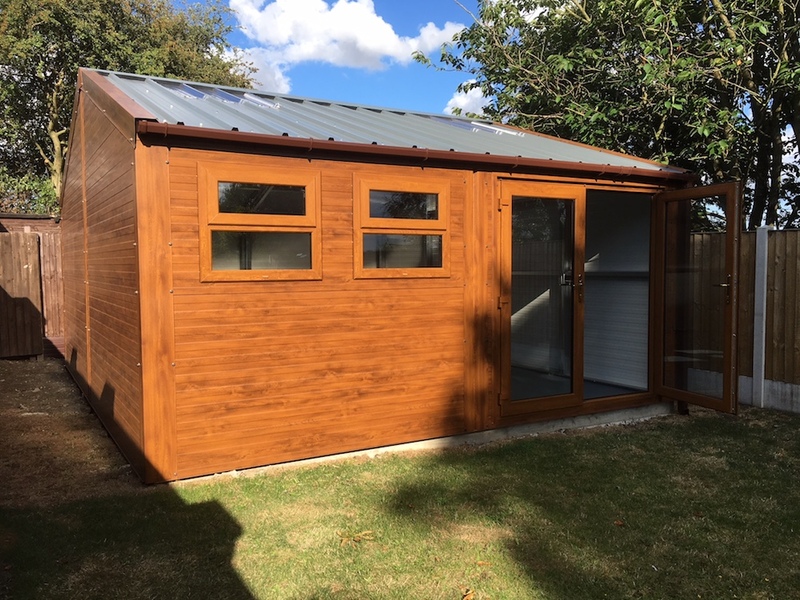 The seal framed building had a Golden Oak wood effect externally to really match into the rural surroundings and the finished product looked superb. 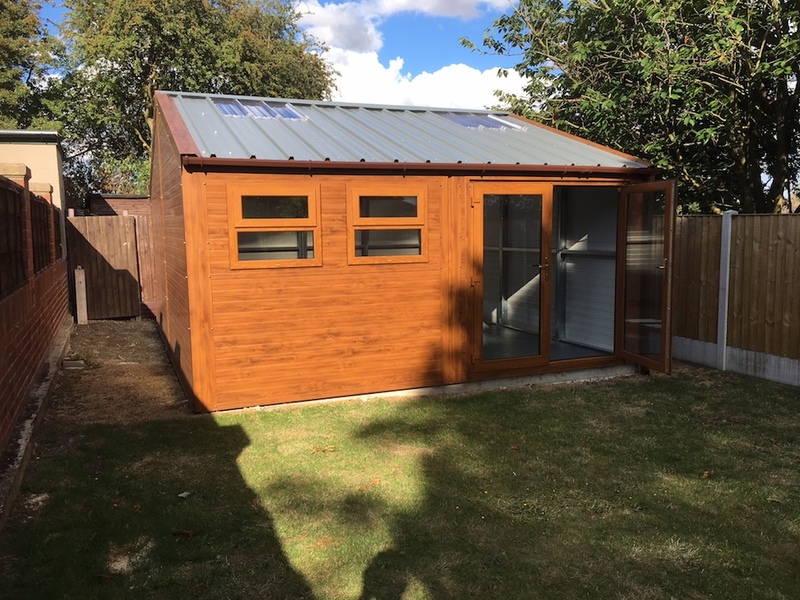 These type of garden room steel buildings are superb for many uses included home office, beauty salon, garden room, workshop and many more applications.